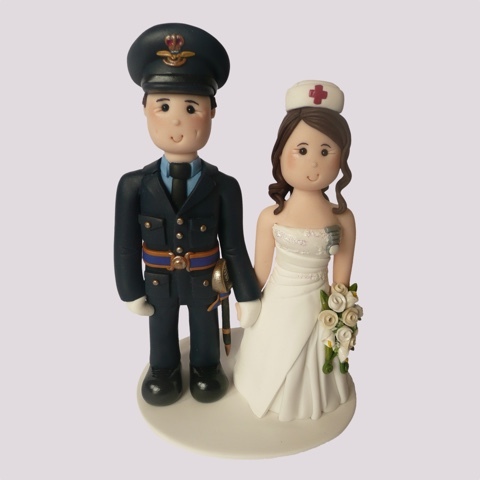 My cake toppers are suitable for any occasion, you don’t even need a cake! A keepsake to cherish forever. 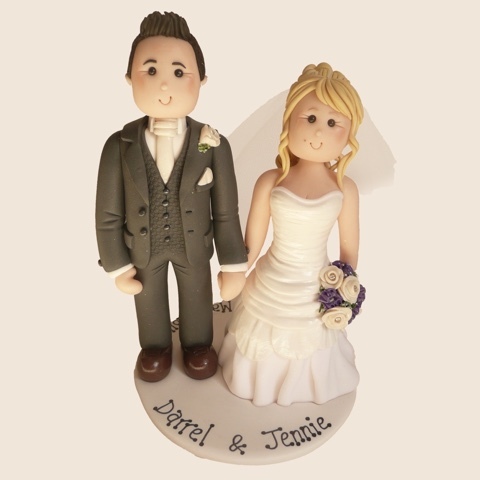 Bride and groom wedding cake toppers are very popular. Created with your wedding dress and suit designs. 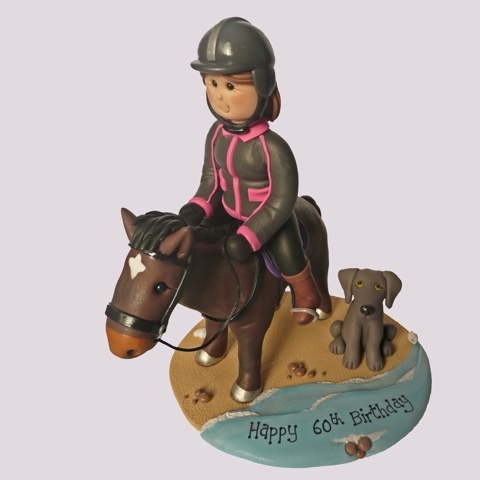 Celebrate a landmark birthday with a special topper. Makes a wonderful addition to a surprise party! 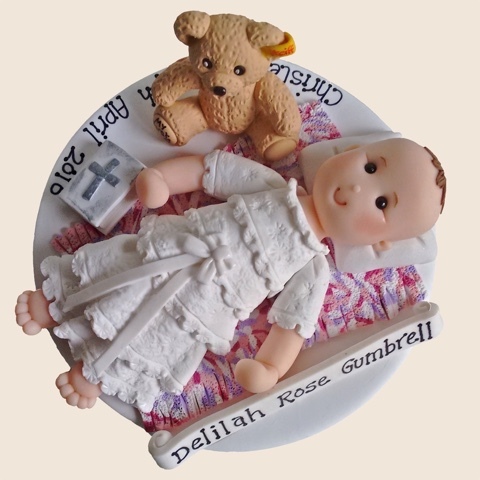 A keepsake for those special childhood years. 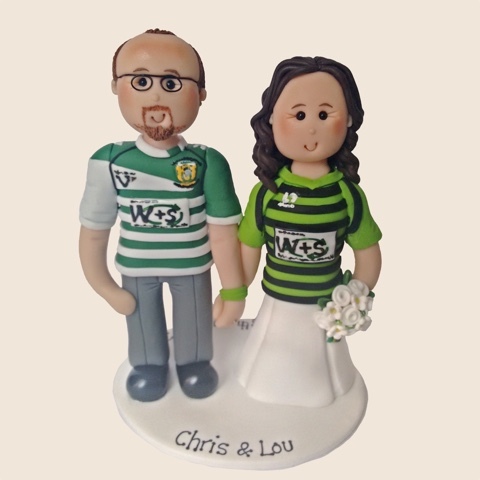 Show your love for your favourite football or rugby team! Police Officers, Firemen, Soldiers, Military Personnel, Nurses, Doctors can be dressed in their uniforms. 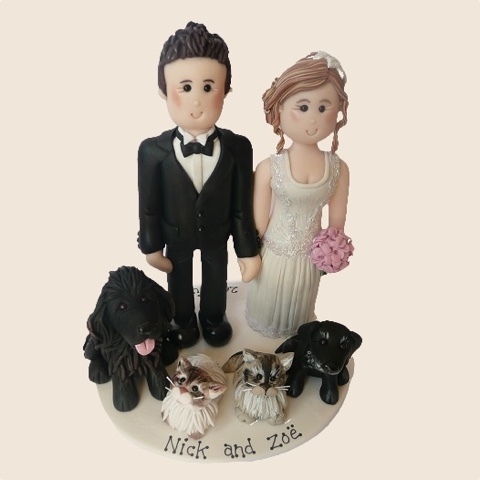 Your beloved pets can be added to your topper. 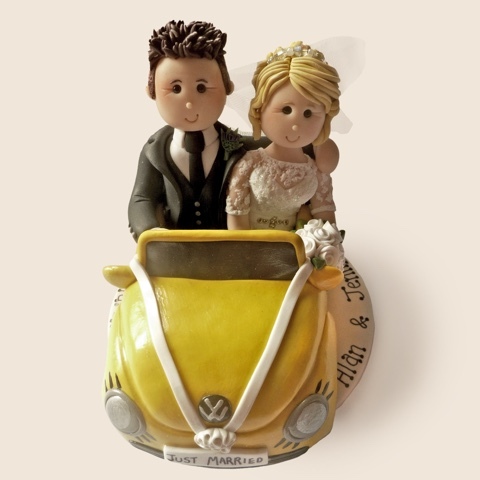 A bride and groom can be sat in a car, campervan, digger or tractor. Large vehicles are made at a premium, reflecting the timescale needed to make the larger pieces. Please note that I no longer make motorbikes. 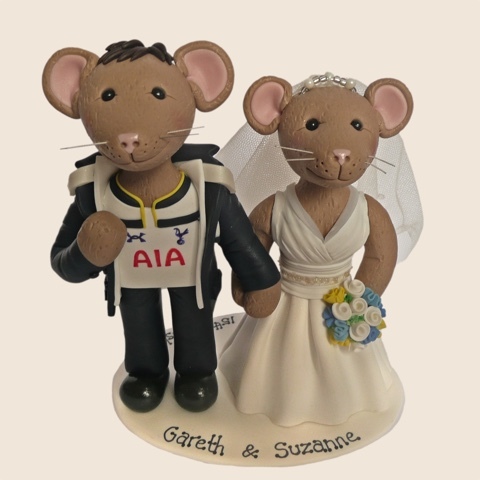 Add some fun and choose to be an animal dressed as bride and groom for something a little different!